All but forgotten in the barrage of recent events ranging from the violence in Palestine to the exploits of President Bible-Baseball-Barbecue in Europe is the sinking of a Japanese fishing boat by the submarine USS Greenville on February 9. More than a week after the incident, word leaked out that a number of Republican campaign contributors had distracted the sailor responsible for keeping track of surface vessels in the area. At this revelation some commentators suggested it might be time to change the linens in the Lincoln bedroom. While the submarine incident was a visible and possibly emblematic example of the role of contributors, their influence permeates the Bush administration from cabinet and sub-cabinet appointments, to energy policy. For example, on May 25 The Guardian UK reported that applicants for jobs with the Federal Energy Regulatory Commission (FERC) were being vetted by the Enron corporation, the nation's largest electrical power corporation. According to a joint investigation by the New York Times and Public Broadcasting Service (PBS), Mr Lay and other Enron executives interviewed other candidate members of the regulatory commission and supplied the president's personnel adviser, Clay Johnson, with a list of the company's preferred candidates. Enron reportedly contributed $1.7 million to Republican candidates last year, and was among the top 10 corporate contributors to the Bush campaign. Bush has known Kenneth Lay since the 80s when Lay was a supporter of Bush's father. Enron hired several members of Bush Sr.'s administration, including former Secretary of State James Baker, and former Commerce Secretary Robert Mosbacher. Over the years Enron and its executives have contributed more that $550,000 to various Bush campaigns, and Bush has done his best to influence legislation, regulations, and procedures to create a climate favorable to Enron. As Governor of Texas, Mr. Bush personally lobbied Governor Tom Ridge of Pennsylvania on Enron's behalf when the company was trying to sell electricity in the state. In Texas Mr. Bush also supported deregulating utilities, easing the tax burden on heavily capitalized companies, and laws limiting large jury awards in civil cases. An Argentine official, Rodolfo Terragno, told several publications in 1988 that Mr. Bush called him personally asking that he award a pipeline contract to Enron. Terragno now says he is not sure whether the call was from Dubya or his brother Neil. Enron was part of group of companies that lobbied the Texas legislature in 1997 for lower property taxes. Then Governor Bush appointed a 17-member commission to study the matter, including Enron's President, Richard Kinder. The proposal drafted by the commission would have saved Enron $9 million, but it did not have support in the legislature. Regulation of the national electric-power grid. Support for the Overseas Private Investment Corporation (OPIC). Limiting regulation of financial transactions involving futures and options. Trading futures and options is a large and growing part of Enron's business. OPIC uses taxpayer's money to fund many of Enron's projects outside the U.S. Enron officials told the New York Times that many of its overseas projects would not be insurable without the backing of OPIC. These executives have enlisted Mr. Bush's aid in lobbying for support for the OPIC and the Export-Import Bank. The New York Times obtained a letter under Texas open records laws in which Mr. Lay asked Mr. Bush to petition every member of the Texas congressional delegation in support of OPIC and the Export-Import Bank. The Times also reported that it takes 26 pages of federal disclosure forms for Enron to report all the issues it lobbies on. Commerce Secretary Donald Evans is a key link to many of the Bush money sources. Evans was for a number of years the chairman and CEO of Tom Brown, Inc., an oil and gas company. His personal stake in the company is estimated at $10 million. Evans headed fund-raising for both of Bush's Texas gubernatorial campaigns, and was rewarded by an appointment to the Texas Board of Regents, where he could influence decisions about investing the public funds comprising the huge University of Texas endowment. Evans then became Bush's national finance chairman, and from that post organized the pioneers -- a group of more than 100 individuals who pledged to each raise $100,000. In addition to Kenneth Lay, and the Kinders of Enron, the pioneers included executives of First Energy Corp., Texas Oil and Gas, CSX Transportation, Occidental Chemical, Triton Energy Corp., Reliant Energy, the Texas Utilitites Co., Vaughn Petroleum, Sanchez Oil and Gas, and Jerry McCutchin Drilling Co. Other members included officials of the Edison Electric Institute -- an association of nonpublic electric companies, and the Food Marketing Institute -- an industry association and lobbying group which opposes increasing the minimum wage and patients' bill of rights, supports the repeal of the estate tax, etc. Bush nominated Howard H. Leach as ambassador to France. Although he does not even speak French, he donated nearly $300,000 to the Bush campaign and other Republican causes. He is currently president of a lumber company, and two other related financial businesses. Bush's nominee for ambassador to England is Will Farish. His diplomatic experience consists of raising horses and having been a long time friend of the Bush family. Richard Egan, currently chairman of EMC Corp. has been tapped to be ambassador to Ireland. The likely ambassador to Switzerland is Mercer Reynolds, one of Bush's investment partners in the Texas Rangers baseball franchise. Reynolds also helped bail out Bush's failing oil company, Arbusto, along with William O. DeWitt, who is also in line for an ambasasadorship. All of these men contributed at least $100,000 to the Bush campaign, and except for Mr. Farish, all were "pioneers." One candidate for the job of ambassador to Rome is Charles Gargano, head of the Empire State Development (ESD) agency. Mr. Gargano was the subject of a two-year investigation by Manhattan district attorney Robert Morgenthau that began when Gargano was poised to chair the Bush fundraising campaign in New York. To avoid controversy, the fundraising post was given to someone else, although Gargano continued to raise funds aggressively. The Morgenthau investigation began in 1999, looking into allegations that ESD officials misspent funds from annual receptions to honor Italian-Americans. Later that year, Paolo Palumbo, an old friend of Gargano who occasionally wrote speeches for him, pleaded guilty to a charge of bribery, and began cooperating with investigators. Soon the investigation expanded its scope to include Mr. Gargano's involvement in a variety of projects, including his sale of state land to Republican contributors. The investigation was closed without explanation, and without filing of criminal charges on January 22, 2001. For a thorough analysis of the financing of George W. Bush's presidential campaign, see the study by the Center for Responsive Politics. 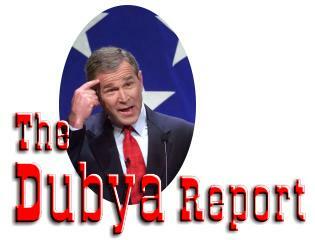 In rewarding contributors with appointments and favorable policies, Dubya imitates his father, George H.W. "Poppy" Bush. a 1992 study by Common Cause revealed a pattern of executive hand-outs, import-export assistance, intervention on regulatory matters, appointments to ambassadorships and commissions, favorable policy decisions for industries that contributed. The Common Cause investigation invokes the spectre of Watergate, in particular, fundraisers for the aptly named CREEP (Committee to Re-elect the President) seeking contributions from firms with matters pending before the administration. As the Watergate scandal unfolded, the Nixon administration's decision to raise milk price supports was linked to the milk producers' pledge of funds to Nixon's 1972 campaign. And an internal memo written by International Telephone & Telegraph (ITT) lobbyist Dita Beard suggested that the Nixon Justice Department had dropped three antitrust suits against the finn in return for its $400,000 pledge to help finance the GOP convention in 1972. Several CREEP donors were rewarded with ambassadorships. George Bush (whom Nixon chose as national party chair in the midst of the Watergate scandal), invited $100,000 donors back into the business of financing presidential elections and influencing the White House. Several Team 100 members in fact were CREEP donors, including insurance executive W. Clement Stone; ADM Chair Dwayne Andreas; Florida developer Alec Courtelis, who took over Team 100 from Robert Mosbacher in 1989; and Mosbacher. According to Sam Dash, chief counsel of the Senate Watergate Committee and now a Georgetown University law professor, the reappearance of these names indicates "a lack of respect for what it was that angered the American people in Watergate. And they're back because they're hardball players."